The diffraction limit of light, or Abbe’s limit, whose bottom value is around 0.2 μm, has always been thought as an absolute limit for photonic observation by photons. Indeed, below this limit, objects are nothing more than spots because the light reflected by each point cannot be distinguished from that of its neighbor. 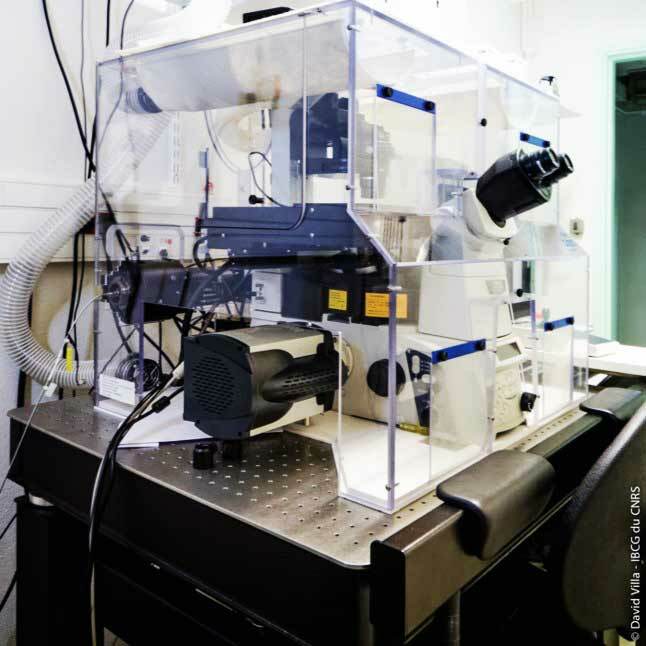 While they do use a beam of light like confocal microscopes, “nanoscopes” or “super-resolution microscopes” illuminate fluorochromes in a random (stochastic) or selective manner. Only the centers of the spots are then considered as being the exact location of the object. Finally, a higher resolution image is reconstructed by stacking the images.